MP4 to MOV Converter is the most ideal video converter for you to convert MP4 to MOV and MOV to MP4. With its easy-to-use interface, you can convert any video format all by yourselves. Don\'t hesitate. Just try the free version of MP4 to MOV Converter. You will be surprised! MP4 to MOV Converter is famous video files converter. As the most ideal video converter, MP4 to MOV Converter offers you easy-to-use interface, high conversion quality and fast conversion speed. Whether you are well experienced with MP4 and MOV conversion, technology, or computers in general, it doesn't necessarily matter when it comes to conversion. MP4 to MOV Converter will enable you to have all the benefits of the highest class converter at a low cost and with a simple user interface. Step One: Download MP4 to MOV Converter and Install it on your PC. Step Two: Add the concerned MP4 file from the source panel by clicking on the "Video" tab on the left. You can also drag the input file into the manager list. Click on "Browse" below and choose the destination file to save your WMV files. Step Three: Set MOV/MP4 as output format and click on Start Convert. MP4 to MOV Converter is not just a professional MP4 to MOV file converter. The developer of MP4 to MOV Converter presents users a super-powerful video converter. 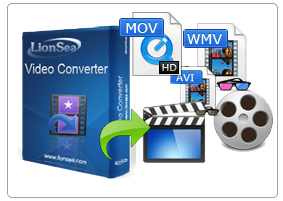 This tool is also able to convert and rip DVD to AVI, MPEG, WMV, DivX, MP4, H.264/MPEG-4 AVC, RM, MOV, XviD, 3GP, MP3, WMA, WAV, RA, M4A, AAC, AC3, OGG, and many other video/audio formats. WMA to WAV Converter is not only suitable for audio files conversion, but also able to convert video files.